How and why did Australia become a nation? In 1901 Australia changed from being six separate colonies to being a new nation, containing 6 states. In this unit we look at how and why this happened in 1901. We even give you the chance to see if you were a politician in 1901 if you would have been able to create Australia. We also look at a lot of key ideas about the nation and lawmaking – including what ‘Federation’ is, what a ‘Constitution’ is, what is meant by ‘Parliament’ and ‘Government’. We give you a chance to pass an Act of Parliament, and to create your own crossword puzzle to give to your friends and family to do. 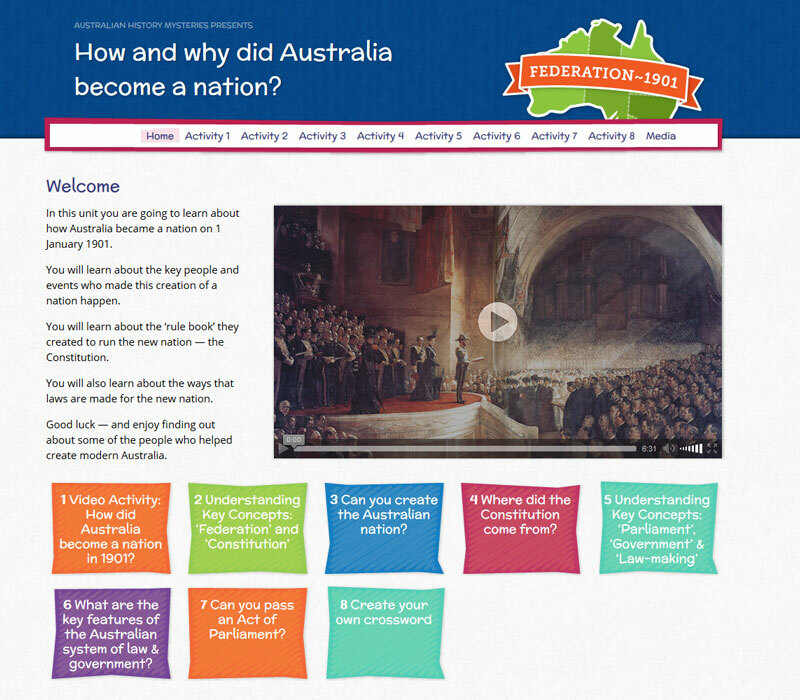 Activity 1 Video Activity: How did Australia become a nation in 1901? 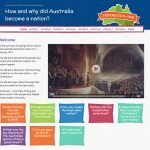 Activity 3 Can you create the Australian nation? Activity 4 Where did the Constitution come from? Activity 6 What are the key features of the Australian system of law & government? Activity 7 Can you pass an Act of Parliament?